MacPhail Center for Music and Austin Public Schools announce a significant boost to their partnership in the form of an $11 million building renovation and addition, thanks to the generous support of The Hormel Foundation. Henry Bridges Jr.—founder of Community School of the Arts (CSA) in Charlotte, NC; former Guild trustee; and 1994 Guild Leadership Awardee—passed away on March 20. Following a wave of advocacy from communities across the country, including Arts Advocacy Day in D.C. March 12-13, Congress has released an omnibus bill for FY18 that includes an increase in funding for various organizations. Elders Share the Arts (ESTA), a Brooklyn based organization that pioneered the field of creative aging, will be closing after a 40-year history. Edward Farmilant, former Guild trustee, National Guild Service Awardee, and founder of the Southwest School of Music and PRIME School of Music, passed away at his home in Tucson on February 15. Charity Navigator regularly features lists of 10 highly-rated charities that are within a specific focus area. In a recent post—focused on music-based charities—the organization highlighted five National Guild members. New data released recently by the U.S. Bureau of Economic Analysis (BEA) and the National Endowment for the Arts (NEA) offers an insightful picture of the impact the arts have on the nation’s economy. A recent special report from Grantmakers in the Arts analyzes data trends in arts philanthropy over the last twenty five years. Share your expertise with the field! 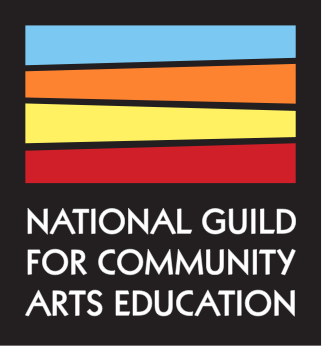 The Guild is now inviting all arts education stakeholders to submit a session proposal for the 2018 Conference for Community Arts Education, the nation’s leading annual arts education gathering, to be held this year in Baltimore, November 14-17. What's new with your organization? Share your latest news with the National Guild community. Guild Members can submit news to: editor@nationalguild.org. Receive the latest information about Guild news, events, activities, and opportunities directly to your inbox. Charity Navigator ratings provide clear, objective, and reliable assessments of both the Financial Health and Accountability & Transparency of charities.